Union is not a huge name in the children’s furniture industry, but the brand has an excellent reputation on Amazon. Consistently earning top marks for the quality of their products and their customer service from pleased parents, the company specializes in selling nursery furnishings at an affordable price. 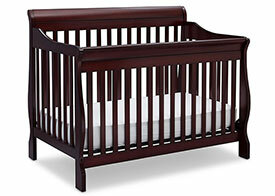 The Union 3-in-1 Convertible Crib is the brand’s signature convertible crib we recently covered in our top 5 cribs. 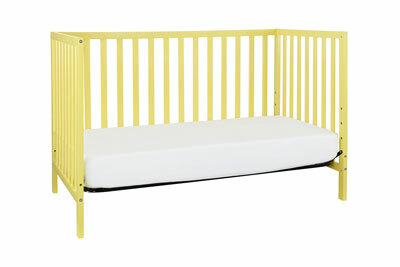 Inspired by minimalist modern design, it’s sure to appeal to parents with contemporary taste due to its sleek aesthetics, but how do its features compare to cribs made from bigger companies? Based on my findings, I’d say they’re completely on par. 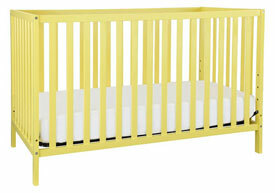 With the Union Convertible Crib, you can use one bed for your child from birth through the teenage years. Toddler and full-size conversion sets are available for purchase separately for an affordable price, and transforming the bed from stage to stage is simple. The Union 3-in-1 Crib gives you the flexibility to adjust the mattress height as your baby grows, and where most manufacturers that include this feature give you only three positions, Union has included four in this design. The highest position makes transferring newborns in and out of the crib very easy, as you don’t have to bend far to reach inside. 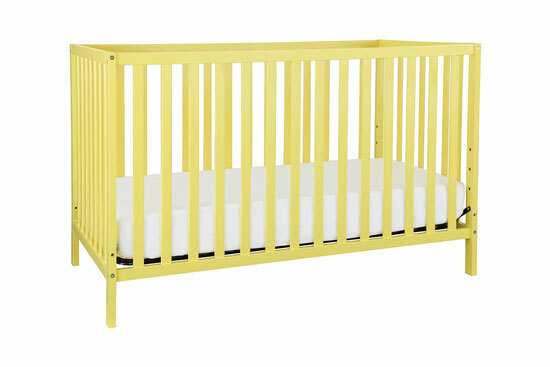 As your baby becomes more mobile and eventually learns to sit up and stand, you can continue to keep him or her safely in the crib by gradually lowering the mattress height. Even though Union is a newer player in the children’s furniture industry, they offer safe furnishings that parents can trust. 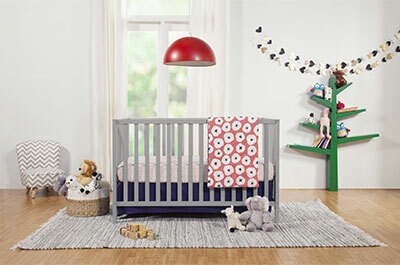 The Union 3-in-1 Convertible Crib has earned the Juvenile Products Manufacturers Association (JPMA) certification, meaning that the crib has been tested and found to comply with ASTM international safety standards and the CPSC safety standards in the U.S. The JPMA is the most well-known of the nonprofit organizations that certify children’s products. Their testing standards are very high. Not only do cribs have to comply with the government standards for construction safety, but they also have to have completely nontoxic finishes. That means that if your little one chews on the edge of the Union crib, you don’t have to worry about him or her coming in contact with lead and other hazardous materials. 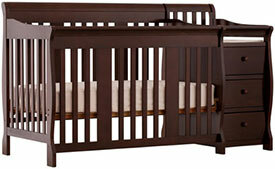 The Union 3-in-1 Convertible Crib is one of the lowest-priced convertible cribs that I have purchased. It’s an excellent value, especially when you consider that it’s made out of high quality New Zealand pine wood and composites. 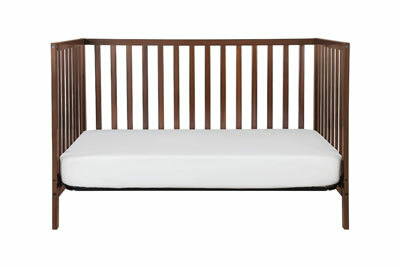 You can put the Union 3-in-1 Convertible Crib together in under an hour. Some parents even say it took only 30 minutes to get all of the pieces assembled. 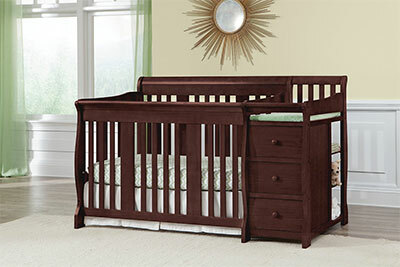 Other cribs on the market require a time investment of 2 or more hours to get all of the pieces put together. 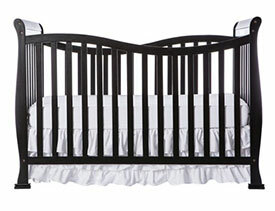 Union also sells the crib as a set with a standard-sized crib mattress. I found it hard to pick out any major flaws in the design of the Union 3-in-1 Convertible Crib or any shortcomings in its quality. There was only a slight issue with the crib, and it’s purely aesthetic. The way that it’s designed, there are some empty screw holes in the front of the crib. They are positioned low so it’s difficult to notice them, but they confused me at first. Then, I realized that the openings were places where hardware would go later when you convert the crib. Once I understood, I actually found their positioning to be very convenient, as it would make it easy to attach the full-size bed rails in the conversion kit. As I mentioned, the holes are so low that you would have to lie down on the floor to notice them, something visitors to your nursery are unlikely to do. If you do find them troublesome, you can buy wood plugs at a hardware store to fill in the openings; however, just make sure you don’t get them in too tightly if you want to convert the crib later. 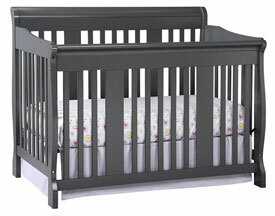 While Union may not have the brand recognition of other crib manufacturers, I can recommend the Union 3-in-1 Convertible Crib without any reservation. 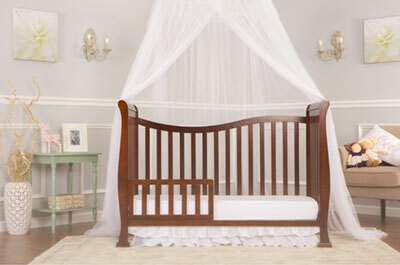 Despite being one of the least expensive convertible crib options on the market, this piece of furniture is finely crafted and intuitively designed to make transitioning from stage to stage an easy task. It’s the perfect crib for busy parents who want a quality furnishing that won’t make setting up the nursery a day-long chore.